Between his two trips to Kenya, Hemingway divorced twice, each time cheating on his then current wife with the next. Paulina, with whom he had toured Kenya in 1933, was his second wife. Mary or Miss Mary as he calls her in True at First Light: A Fictional Memoir (1999), was his fourth. 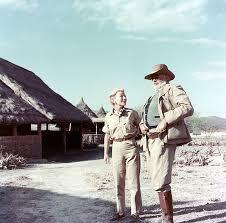 She accompanied him to Kenya on his ill-fated safari in the 1950s. They would survive rumors of Mau Mau attacks, animal attacks, two back-to-back plane crashes, and apparently an affair with a Kamba girl. Ernest and Mary during the 1950s East African trip. In the posthumously published fictional memoirs of his second (and disastrous) trip to Kenya, True at First Light: A Fictional Memoir, Hemingway claims Debba lived nearby. A young naive girl, she falls in love with Hemingway and is intrigued by his mystery. She likes to ride in Hemingway’s car and while he drives, she strokes the holster of his pistol. When she cant, she seductively pinches his thigh muscles. She decorates the walls of her room in her family’s lodge with photographs of Hemingway from Look Magazine. Mary seems to have no problem with her husbands frottage. “I like your fiance very much because she is a lot like me and I think she’d be a valuable extra wife if you need one,” Mary says of Debba. It is clear that Mary views Debba as her inferior, most likely because of her race. Her greater concern is likely to have been other white women living in Kenya at the time. To her, Debba was Mrs Hemingway 4.5. He claims he does. Mary came back to find her bed broken. Debba feeds into Hemingway’s psyche and eventually becomes his second wife. She is afraid that she is merely a conquest to him. Debba: I don’t want to be a play wife or a wife to leave. Hemingway: Who would leave you? Hemingway titled his 200,000-word draft “The African Book.”?In the edited 100, 000-word?True at First Light, Hemingway seems to have developed a deeper appreciation for African culture, a stark contrast to his supremacist views only two decades before. “Twenty years ago I called them boys but the way things were now you didn’t do it Everyone had his duties and everyone had a name, not to know a name was impolite and sign of sloppiness,” he writes. Whether Debba existed is the main question. She is mentioned in Kenneth S. Lynns biography of Hemingway. Lynn quotes the British game warden, Pop, describing Debba as an evil-smelling bit of camp trash. Pop left Hemingway in control as he retreated to his White Highlands farm during the State of Emergency. Pop is Philip Hope Percival, a white settler farmer and hunter who was notoriously racist in his interaction with Africans. 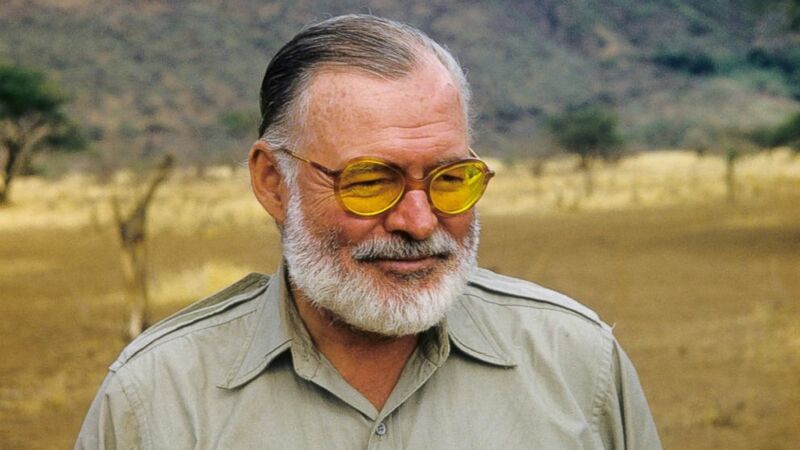 A skilled hunter, he had accompanied Theodore Roosevelt on his 1908 trip, and Hemingway deliberately sought him out for his own African safaris in 1933 and 1954. An earlier biography Ernest Hemingway, A Life Story (1969) by Carlos Baker draws information on Debba from Mary’s diaries. She had written that shortly after her trip, he claimed she was depriving him of his new wife. It is in Bakers book that the story of the broken bed appears. In another biography, Papa Hemingway, Hotchner says Hemingway spoke of his nuptials to a Kamba bride (and her 17-year old widowed sister, apparently). He makes it clear that his is a fictional memoir, which means he mixes actual events with fictional ones. He once said a writer of fiction is a congenital liar. His son, Patrick Hemingway, said of the purported affair “Did Ernest Hemingway have such an experience? I can tell you from all I know — and I don’t know everything — he did not.” He would know because he had joined his father on that trip. It is possible Debba was a metaphorical figure for Hemingway’s falling in love with Africa. Debba remains a character shrouded in mystery. Almost nothing else is known about her except that she might have been married, traditionally, or engaged to Ernest Hemingway, the Nobel Prize Laureate and Pulitzer Prize winner. Perhaps she never existed except in his fertile and often inebriated imagination.